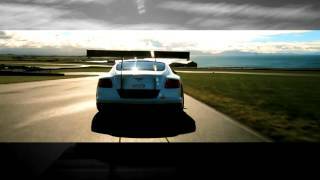 Bentley unveiled a race car concept, the new Continental GT3 concept racer at the 2012 Paris Auto Show. The concept racer is based on the GT Speed and confirms Bentley’s return to motorsports. The new Continental GT Speed is a refined, luxury grand tourer but which, if the driver demands, has a distinctly hard-edged sporting character. With exceptional levels of instantly accessible performance, the GT Speed, the fastest road-going Bentley ever, is a supercar that can be used every day, whatever the weather and road conditions.